After taking a one-year hiatus to double down on Star Wars Battlefront, EA has confirmed that – unsurprisingly – a new installment in the Battlefield series will be released in 2016. 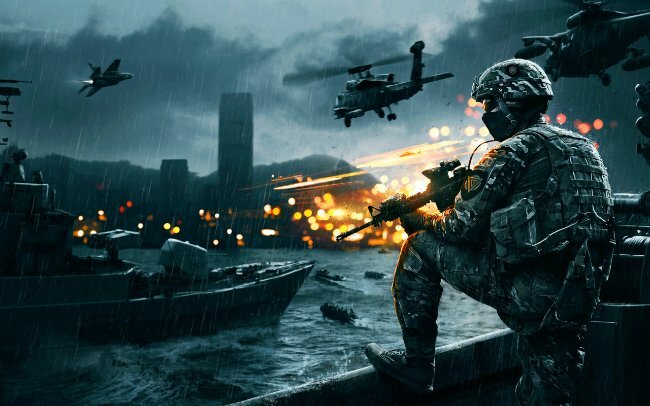 The mega-publisher made the announcement during its fiscal earnings report, with Chief Financial Officer Blake Jorgensen noting that, as one of EA’s staples, it was a question of when – rather than if – Battlefield would return. When DICE was drafted in to helm the Battlefront reboot, Dead Space studio Visceral Games took the reins of the first-person shooter series, releasing the cops-versus-robbers Battlefield Hardline early last year. As a competent spinoff, Visceral’s maiden entry into the franchise performed relatively well, though it’s understood that 2016’s release will bring the IP back to its military roots. Whether that means EA will unveil a numbered sequel in the form Battlefield 5 is still up for question, and it’ll be a rather quick turnaround for DICE following the launch of Star Wars Battlefront this November. Speaking of which, further in the earnings call, the publisher touched upon its remaining roster of software for this fiscal year – including FIFA 16, Madden NFL 16, NBA Live 16, NHL 16 and the Need for Speed reboot – while noting that it expects Battlefront to ship between 9 to 10 million units this year. Ambitious though that may seem, Star Wars Battlefront has fast become one of this year’s most-anticipated titles, rubbing shoulders with the likes of Rise of the Tomb Raider and Bethesda’s Fallout 4. As for Battlefield, another spinoff seems unlikely given that Visceral is now working on a Star Wars licensed title of its own. Battlefield 5, anyone?